Win these TWO NINJA PRODUCTS! Mom will love them! I know, because I am a Mom. 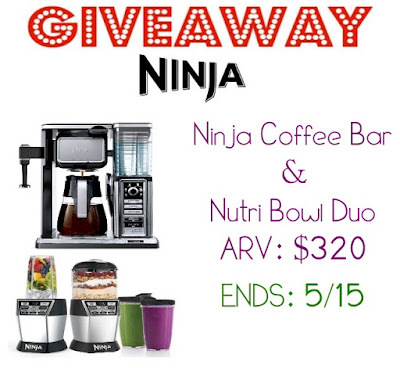 Mother's Day is quickly approaching and Ninja products are here to help you make mom's day as special as possible. I plan on spending the day with my mom and hopefully we can both spend some time with my grandson. I am having dinner with my husband and daughter. I hope everyone in the immediate family will cook lunch or take me out to eat for lunch. My mother and I will lunch on Friday before like every year. The whole family always go to brunch. I plan on going to my Parent's house with the kids to spend Mother's Day with my Mom. I do not have any plans for Mother's Day yet. I shampooed my carpet on Mother's Day.